General Electric’s digital business unit became one of the world’s largest software companies by offering an internet of things platform for industrial operations. GE Digital’s Predix software platform enabled machines in factories to send data through the sensors attached to them to the associated computer interfaces. The robotics sector has experienced record growth in the US, partly as a result of the government’s a policy of discouraging manufacturers from leaving the country. As a result, American businesses have turned towards robotics and automation technologies to cope with rising labor costs. Delta, a provider of power and thermal management solutions, is launching three new internet of things platforms at Pack Expo. EtherNet/IP information connectivity network platform. ABB will feature a broad range of robotic and motion technologies for packaging and warehouse distribution applications at Pack Expo 2017, September 25-27 at the Las Vegas Convention Center (#C-5242). 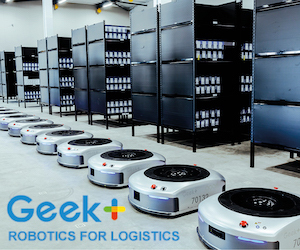 Universal Robots is showcasing a new cobot-assisted, mobile and modular tabletop system featuring vision-guided multiple part feeding and kitting with conveyor tracking and case loading/unloading at Pack Expo. 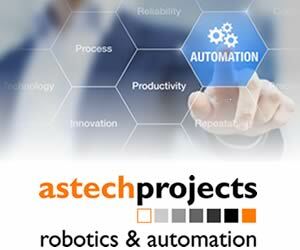 While most robotic cells and automated machinery in the market are stationary solutions designed to complete one task for their usable life, Universal Robots certified system integrator, Allied Technology, has taken a new approach. “We believe a robot cell should be modular, flexible, and easy to use. The systems we design are scalable and allow for a company to easily make changes when production has new requirements or a new product to run,” says president of Allied Technology, Mike Halley. Epson Robots has showcased a new scara industrial robot at Pack Expo. Scara is the acronym for Selective Compliance Assembly Robot Arm.